This topic contains 2 replies, has 2 voices, and was last updated by Paul 10 months, 2 weeks ago. 1. I would like to change the Headline Font in a google font, similar to my corporate font. It would be cool to get the code snippet and instructions what i have to do. 2. I made a static homepage, the name of the page “Home” is shown in the menu (what is good) and as well in the content area, above the copytext. The second one i would like to hide. How can i do this? have you seen my questions? Could you please help me? 1. 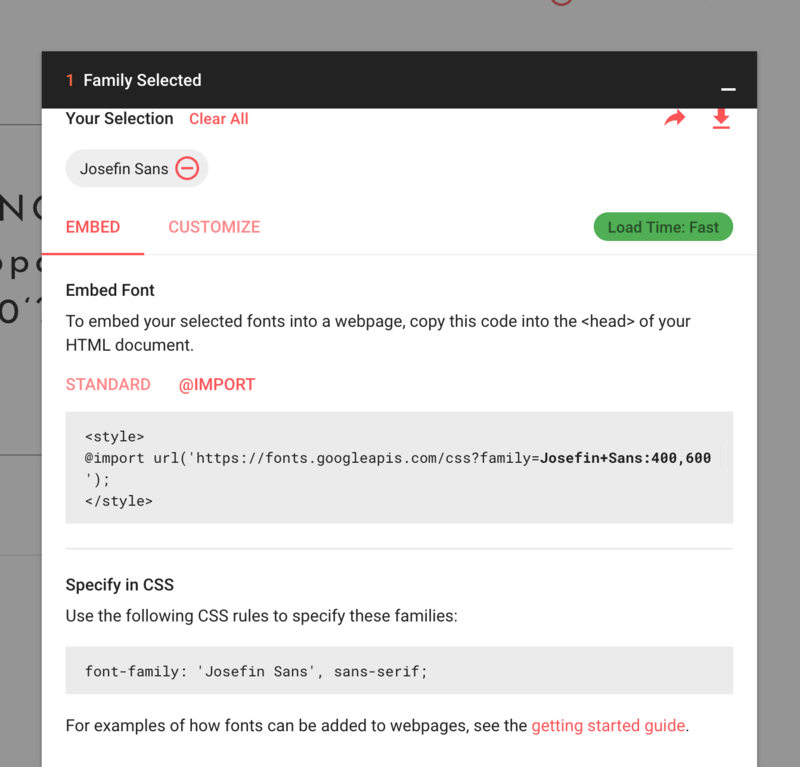 To change the headings font to a Google Font, please first install the Simple Custom CSS plugin. Activate it after installation. Now go to fonts.google.com and decide on a font. Then click ‘Select this font’ link and select the weights (600 or 700 sounds reasonable for headings). Choose ‘Embed’ and ‘@Import’ (see screenshot). 2. This CSS will remove the title of the page set as the home page. Insert it the same way as the above code. When copying the codes take them from here and paste them directly into ‘Appearance’ > ‘Custom CSS’ input. Otherwise, you may lose formatting.